If you’re like most people, you’re mostly concerned with air pollution only when you’re outside. It’s so easy to spot the emissions coming from factories and power plants, as well as clouds of smoke streaming from automobiles. But, is staying indoors really the best solution for protecting yourself from the harmful effects of bad air quality? 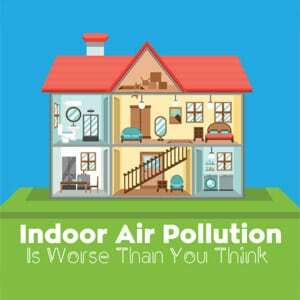 You see, the reality is that the Environmental Protection Agency (EPA) has discovered that indoor air quality can be up to 2x-5x more polluted than the outdoors. Combining this with the fact that the average person spending 90% of their time inside, it’s no wonder why indoor air pollution is ranked as one of the top five environmental risks to public health. Sadly, indoor air pollution is caused by so many different things that 96% of homes have at least one element indoors that contributes to lower quality of breathable air. 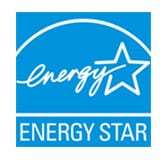 The good news is that there are things you can do to improve indoor air pollution. 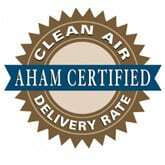 The best option is to add an air purifier to your home. This device can remove up to 99.97% of harmful contaminants from your breathing space. Additional solutions for reducing indoor air pollution, as well as more facts related to this issue can be found in the Home Air Quality Guides infographic below. We encourage you to alert others to the health risks associated with indoor air quality by sharing the infographic below on your own social networks, websites and through email. We’ve also included tweetable facts and an embed code to place the infographic on your own website or blog.